Though writers may often generate volcanic flows of multiple plot possibilities and character ideas with no way to contain them… even they, at times, get stuck or lose enthusiasm to the point they can’t continue with their current story. Others have had writers’ block for much of their adulthood and want to restore the inner storytelling voice they felt more connected with as kids. Have you hit a wall in your current story? Want to open the floodgates to release the voice stuck inside that reveals where the story wants you to take it? Or, looking for the next story idea inside you that you just can’t seem to access? 1. Read multiple fiction book synapses. One right after the other. Don’t stop to look over the contents or decide if you want to buy the book, just read a synapse, then another, then another. When you’ve read enough, (20? 30? more?) jumping from one to the next taking just enough time to savor its possibility before the inner critic can cling to it, for some mysterious reason, your stuckness unsticks itself. From seemingly out of nowhere, you now (or will soon) know exactly how your character will solve his issue in chapter 7, even though the synapses had nothing to do with your current story. And we do mean synapses, not just book titles and subtitles. And definitely not people’s reviews of the books. No reviews, avoid Amazon book reviews at all costs -- just locate any large number of objective synapses that allows you to read many at a time without stopping where no opinion on whether the book is good or bad exists. You can find lists online or at your library. 2. Similar to above, read story starter lists and synopsis possibilities meant for people looking for their next novel idea, even if you’re already working on one and the last thing you think you want is to read about other possible stories. Though there are many free writing prompts online, look for more than lists of the single line prompts such as “A man meets a frog that can sing.” Rather, find some with a little more meat on them -- story starters and suggested synopses. 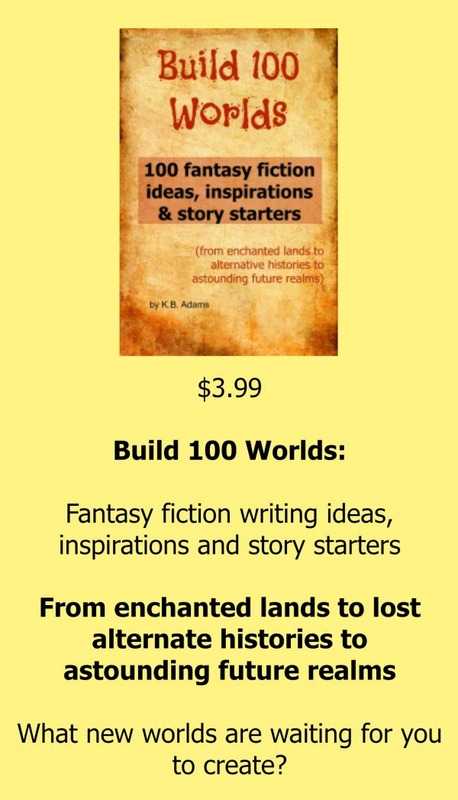 Yes, ahem, we’ve written and sell one for $3.99 called Build 100 Worlds used by professional and aspiring writers. While great for writers’ workshop teachers and prolific writers looking to inspire their next novel, when read through one after the other, they can also jar open your own floodgates of creativity and problem solving for the novel you’re already working on. 3. Another way is to purposely not think about the book for at least an hour… which is impossible especially when trying not to think of it, unless something else so engrossing comes along you have no choice. An emergency could do this for you. But in hopes that never happens, make yourself go out to see a movie with no advertisement breaks that lasts at least an hour or hopefully more. One you know you’ll get so lost in you won’t be able to think about anything else. Time will disappear for you. If you’re not a movie-goer, choose something else that completely captures your attention without breaks for at least an hour. A long and rousing game of tennis, chess, volunteering where you must engage nonstop with other people, etc. But not activities such as knitting or golfing or berry picking. These activities have too many spells that leave the mind free to wander back to concern about your story. Choose ones where you'll be single-point focused throughout the duration. 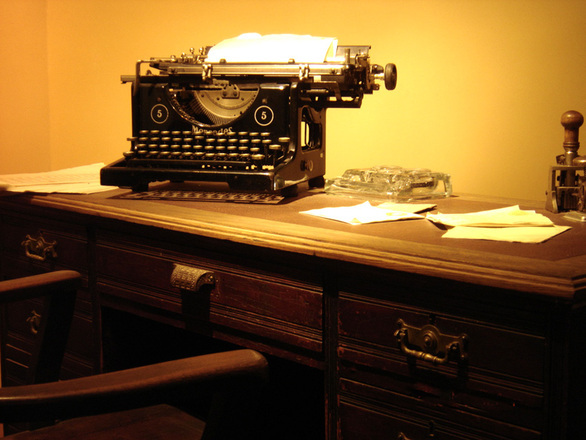 Somehow, this, too, makes space for the lost voice of your current or upcoming novel to be heard again. Enjoy! And thank you for contributing to the world of stories.